Deveron UAS Corp., is a leading full-service drone data collection company. Our team of professionals use the world’s most advanced unmanned aerial vehicles (UAVs), sensors and software to collect and analyze intricate data for farmers to make informed decisions, reduce costs and increase their yields. Visual maps used for scouting, stand count, crop damage assessment, earth works projects, tiling and terracing work. Data rich maps portraying plant health. Used to create management zones and variable rate application prescriptions based on current field conditions. You will receieve point shp, polygon shp, single-band NDVI .tif, and colour-mapped .tif, with legend per each request. 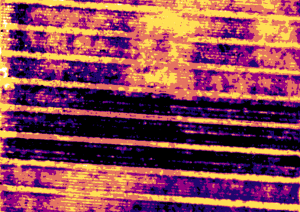 Thermal Imagery can be used for vegetation monitoring, plant phenotyping and in crop water and fertility management. You will receive a single-band temperature map, and a colour-mapped temperature map with legend per each request. UAV or Drone Imagery (Remote Sensing) is available for $3.00 per acre. Additional Analysis, Prescriptions and Extra data layers are available. Please contact us to discuss your options. Volume discounting available. UAV or Drone Imagery (Remote Sensing) is available for $2.00 per acre. Additional Analysis, Prescriptions and Extra data layers are available. Please contact us to discuss your options. Volume discounting available. * Prices subject to change, based on 100-acre minimum. Click here to view product sheet – U.S.